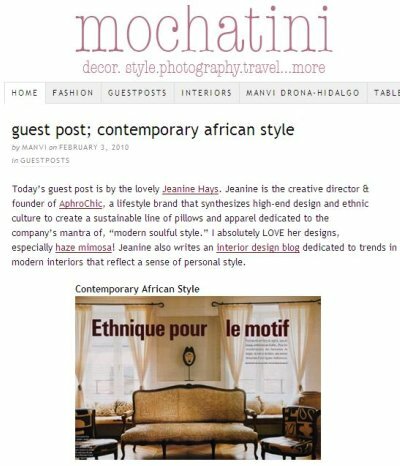 If you are looking for a little more AphroChic today, you can also see my guest post on one my favorite blogs, Mochatini. I’m talking about contemporary African style. Check it out! AphroChic in Nesting Newbies Issue No. 4!